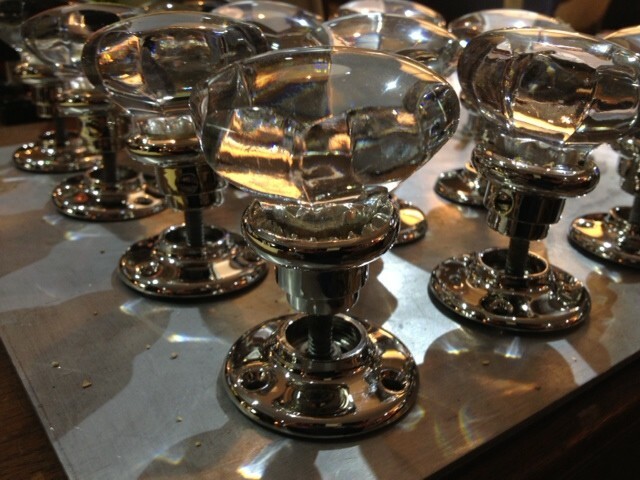 Wilmette Hardware’s own custom ribbon & reed knobs and rosettes for a Chicago client. 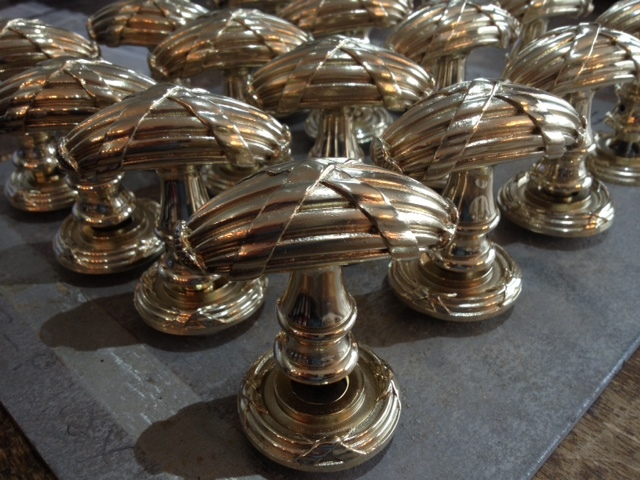 This good looking hardware utilizes our eight-sided glass knobs and rosettes from our inventory. Both are nickel plated and polished.